God has always been a divine family, Father, Son, and Spirit. He created mankind in His “image” and “likeness” then gave them the creation mandate to “be fruitful and multiply, and fill the earth…subdue…and rule over it” (Gen 1:26-28). 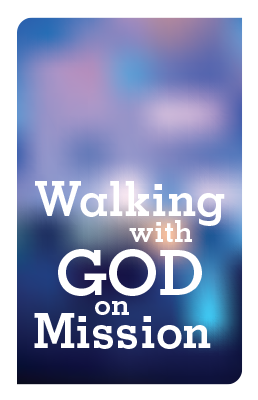 The mandate can be summed us as God’s family walking together with Him and each other in pursuit of His mission. The Bible begins with His family walking together on His mission and ends with His family, the church at the culmination of that mission the marriage supper of the Lamb (Rev 19:7-9). In the study “With God on Mission” you will be equipped to work more effectively with God as we pursue His mission on the earth everyday.